8 or 16 GB of internal storage and a microSD slot for up to 256 GB of expandable storage. Compared to the previous generation, Fire 7 features an improved display that provides higher contrast and sharper text. item 6 Amazon Kindle Fire 7 inch IPS 8 GB Black Front & Rear Camera NO TAX!!! CHEAP!!! 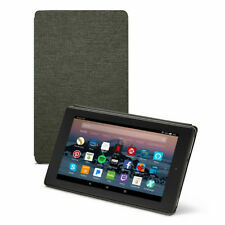 -Amazon Kindle Fire 7 inch IPS 8 GB Black Front & Rear Camera NO TAX!!! CHEAP!!! Good size for one hand reading or watching. Product back has slippery plastic. 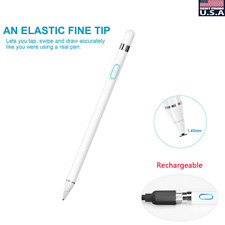 However with the price it's not too bad if you lose it. This tablet replaced a dead Kindle Keyboard for my lady. At first she wasn't sure she liked it, but now she's used to it and likes it quite a bit. It's supports very little they are very slow, and full of ads. If you do not purchase what they (Amazon) wants then it acts as if it doesn't exist.